So subscription boxes have become a “thing”. With so much on their proverbial plates, people today require ease and automation. And after streamlining everything from clothing to jelly, the office snack box entered the scene. With this newfangled concept, workplaces could receive a variety of snacks each month, satisfying employee hunger and boosting company morale. What could be better? Well, it turns out, A LOT. It would seem that many of these snack boxes don’t live up to the hype, and the only thing worse for office culture than providing no snacks is providing snacks that completely blow. Fortunately, WorkPerks isn’t your average office snack service. See how we outwit, outplay and out-snack the competition every time. You Call That a Snack? Snacks are many different things to many different people. In your office, no doubt, you have a variety of personalities, preferences and lifestyles. Shouldn’t you offer the same variety in a snack box? While some office subscriptions provide nothing but “nature bars” that taste about as good as the cardboard box they were shipped in, others swing too far to the opposite end of the spectrum, providing empty calories that result in worker exhaustion and reduced productivity. With WorkPerks, there is a snack for every taste. 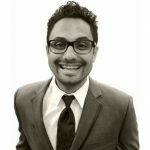 From health-nuts and vegans to chip-addicts and those with a sweet tooth, WorkPerks uses your feedback to create a custom snack profile for your office. We then send a variety of tasty, all natural snacks to meet everyone’s snacking expectations. This Was Supposed to be Easy! So you subscribed to an office snack service and you’re sure it’s going to be a hit. They have a great selection, everyone will find something they like and office morale is at an all-time high. And then the box comes and…you get to spend the next half-hour trying to figure out how to display everything. Do you keep things in the box, letting employees shuffle through it with their chip-crushing hand strength while they search for their snack of choice? Do you just dump it all out on a table? Do you spend your valuable time attempting to stack everything neatly in the display case they included but neglected to fill? This was supposed to be a fun, easy concept and it’s just creating a mess. At WorkPerks, we recognize that snack fatigue is actually a thing. Delicious as it is, man cannot live on chocolate banana granola bars alone. With an extensive inventory of products and a desire to keep things fresh, we send a wide variety of new snacks each month to shake things up a bit and let everyone try new things. Of course, your staff will have some favorites and we use that feedback to build out your snack profile for future deliveries. It’s Day 1. We’re Out of Snacks. Whatever you do at your office, I’m sure you’re good at it. That said, at WorkPerks, our job is delivering the best snacks for your office enjoyment, and in our not-so-biased-opinion, we think we’re pretty exceptional. Part of our job is making sure you have enough snacks to go around. (If you don’t like dealing with tired employees, try dealing with a hangry employee. MUCH, MUCH WORSE.) This is why we take a one on one approach to consult with you to help gauge how many snacks your office will need. With WorkPerks, you do your job and leave the snack-oriented details to us. I’ve Had These Before. They’re .50 at the Mini-mart. When curating the selection in our WorkPerks snack boxes, we take into account several factors. First, it is important that we bring you a wide variety of snacks, always from smaller artisan and boutique brands around the country. With the “other guys” its very common to receive big box brand snacks that you can easily get on your own, and for cheaper. Aside from enhancing your snacking experience, an order from WorkPerks, helps support these smaller brands and the charitable causes many of them contribute to. 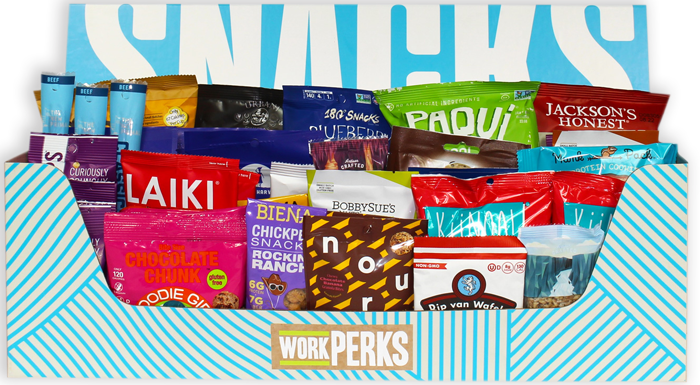 With WorkPerks, we don’t take for granted that you can go to a store and buy your own snacks. This is why we send premium brands and high-end snacks that aren’t readily available at the convenience store, all assembled and delivered straight to your office. Craving some grass-fed beef jerky? Good luck trying to get that at the mini-mart or grocery store! And, when we say natural, unlike the “other guys”, we actually mean it. The snacks we select for you are thoroughly vetted and contain no artificial ingredients whatsoever. We Have To Do This For How Long?! Once you start getting WorkPerks delivered to your office, you won’t want to stop. But just because sometimes ‘it’s you, not us,’ we don’t lock you into any long-term commitments. Month to month is how we roll.